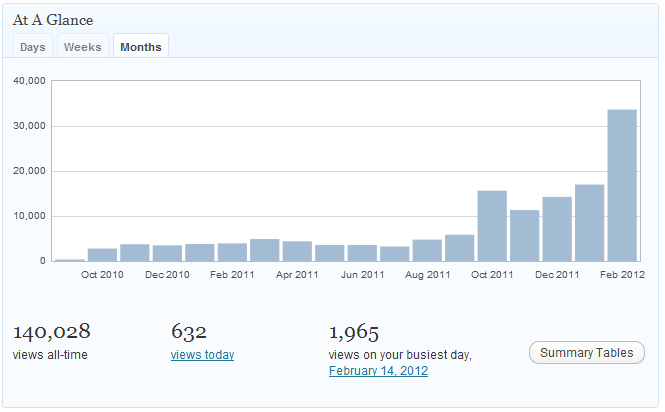 This is my 1,001st blog post, I thought I’d do a quick retrospective. I’m not sure why I started blogging, I remember back in 1998 a friend told me that they had set up a blog for themselves and I thought to myself “what the hell was the point in that”, they were posting a diary online, probably on live journal or something like that. A few years later I bought ohmz.co.uk among others (I’ve also been the proud owner of watermelons.co.uk…), but I never used that because I didn’t know what the hell I wanted to do, so that domain expired. At some point I bought ohmz.net, and I installed php-blog, a really simple bit of software that allowed me to post crap to my webspace. Back then I was working as a stage technician and I had dreams of being a music blogger. I blogged about my experience backstage with whatever bands I was working with, usually at King Tuts Wah Wah Hut, it was really poorly written and really boring I think 3 people read it in total. I stopped blogging there after a while and forgot about it, until I got an email from my web host saying that my blog had been closed down because it had been identified as a spam center. 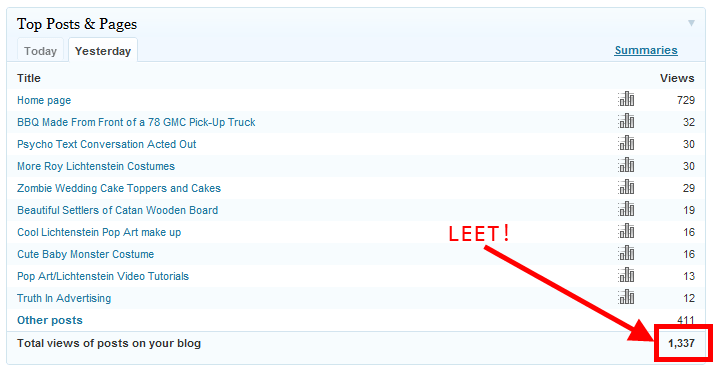 Apparently there was a flaw in the blogging software I used that allowed people, or bots, to email people from my blog and they were spamming the bejesus out of the internet. I un-installed the blog software I was using and installed Drupal, played around with it for a while, didn’t like it and settled on WordPress. I’ve also written various film reviews and rants. I think in the future I’m going to try and post more original content to balance out the stuff I’ve posted that just links to other peoples work. I’m not going to stop posting links to other stuff I’ve found, just supplement it with origianal content that you can only find here, that is until someone else reblogs it elsewhere (I’m under no illusion that will ever happen…). Anyway I just wanted to say thanks for reading my blog, I hope you continue to enjoy it. P.S. In case you were wondering about the title, I am aware that none of my blog posts have been in Arabic but I am an Arab (or at least half Arab) and I felt the title worked so I went with it.